Was refered to this site from a friend off another site. 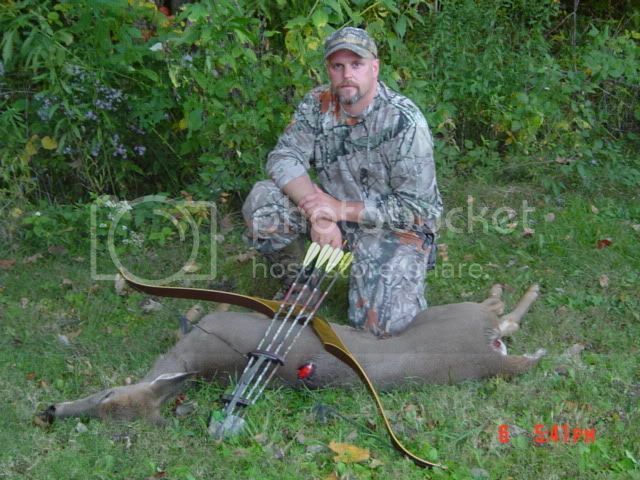 Been a bowhunter for 24 or so years but always with training wheels ! A friend found this Wing Pro at a garage sale for $18.00 ! I played around with it for a while then decided to get serious this year. My first outting with it and first shot at an animla with it was a success and I was able to fill a second antlerless tag with it later in the season. Here's the second Wing kill of the seaosn for me. WOW!! A BIG congrats!! Those are some nice deer, second one definately a muture doe. Where are you at in Indiana? I live in Knox (Starke County). Miami co East of Peru is where I call home. Hunt in different spots around Miami. The 1st was an adult but probably only a 2 year old she had young ones with her. 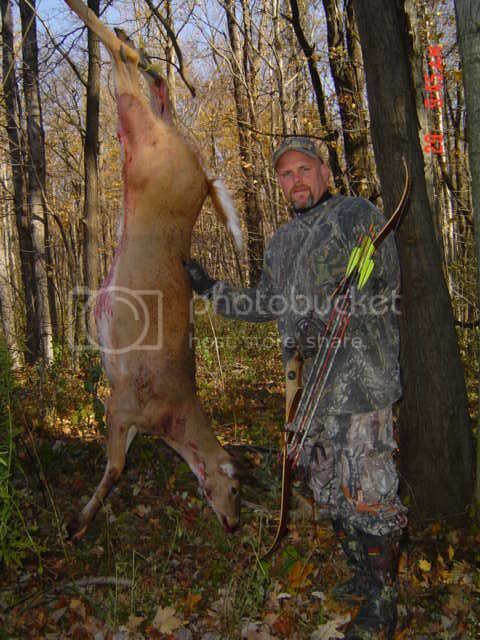 The second was older adult doe as well.